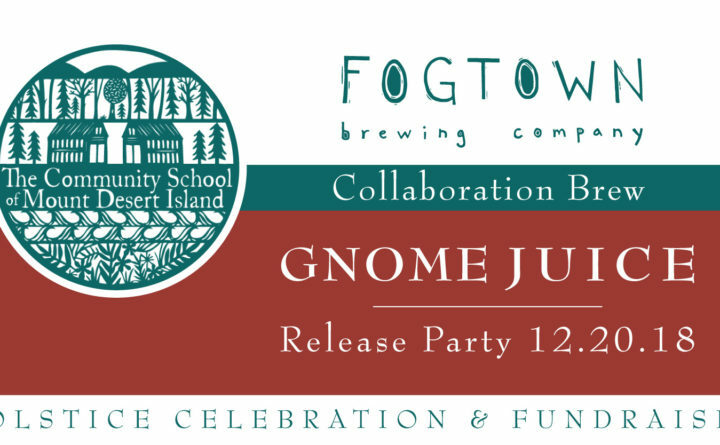 ELLSWORTH — On Thursday, Dec. 20, come to Fogtown Brewing Company, 25 Pine St., at 4 p.m. to celebrate solstice and the release of Gnome Juice, a collaboration brew between Fogtown and The Community School of Mount Desert Island. This fundraiser is family-friendly, and will also feature a pop-up shop of hand crafts by The Community School, plus live music by Noah and Shawn Keeley. For information, visit fogtownbrewing.com and thecommunityschool.me .